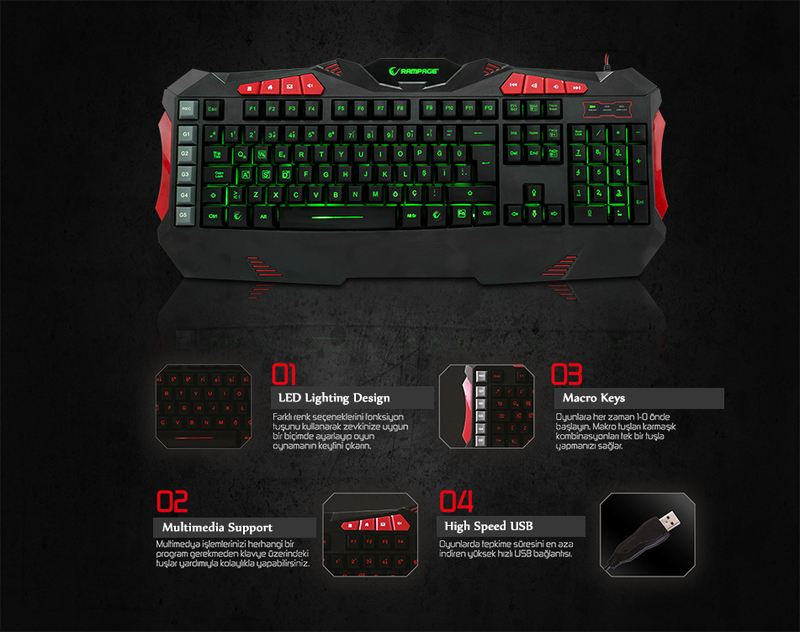 Everest Rampage SPECTRA R5 Black USB 7 Color Lighting Q Multimedia Macro Gaming Keyboard; Mount Everest growing day by day as the certifier of several successful computer accessories in the world, Gamer are also not ignored. 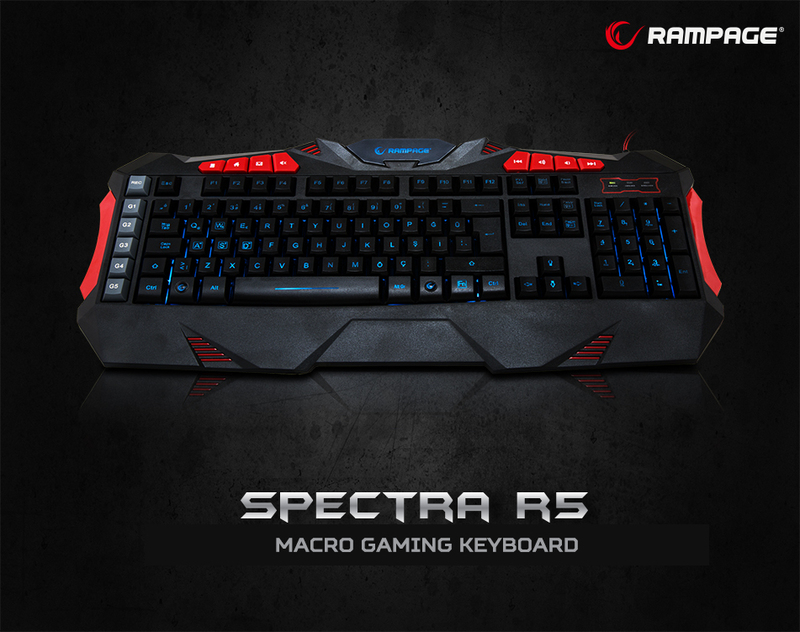 Company's keyboard is called the SPECTRA R5, 7 different LED lighting and similar features have been designed with the elegance you can attract. Led lighting of laser printed keys that provide make it visible in dark. Macro definitions with feature SPECTRA R5 has the Turkish Key combination. 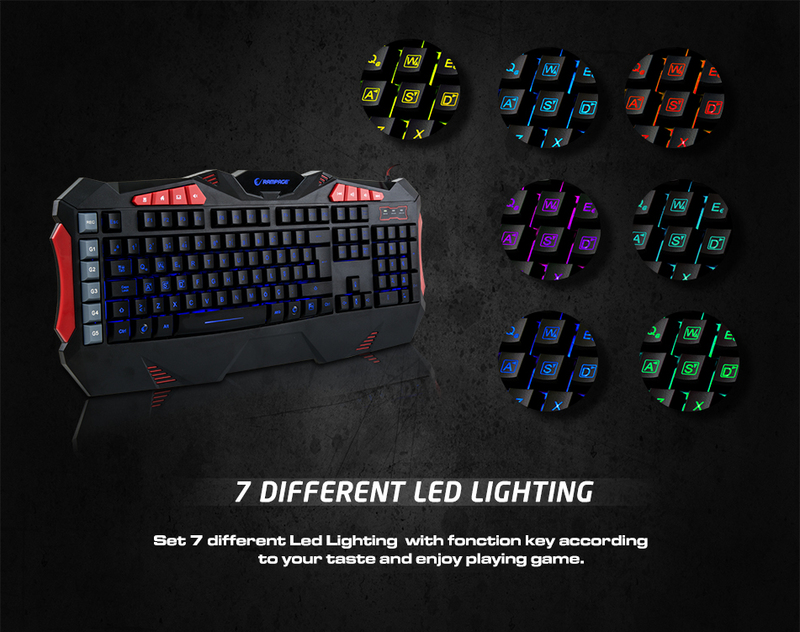 Everest Rampage SPECTRA R5 Black USB 7 Color Lighting Q Multimedia Macro Gaming Keyboard; With 7 different LED lighting options you can play comfortably at night and low light conditions. LED lighting can increase and reduce the light intensity according to your desires. you can choose the color options by using the function keys easily the best one. Everest Rampage SPECTRA R5 Black USB 7 Color Lighting Q Multimedia Macro Gaming Keyboard; SPECTRA is a keyboard player, offering superior performance equipped with outstanding features. This gaming keyboard produced by using solid materials and it is one step ahead of its competitors with the structure and soundness! 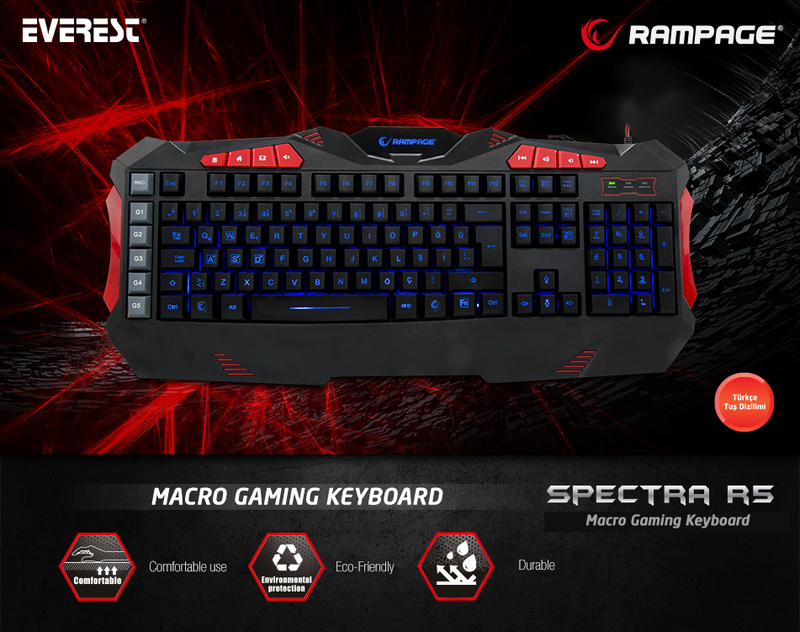 Everest Rampage SPECTRA R5 Black USB 7 Color Lighting Q Multimedia Macro Gaming Keyboard; Always start 1-0 lead into the game. 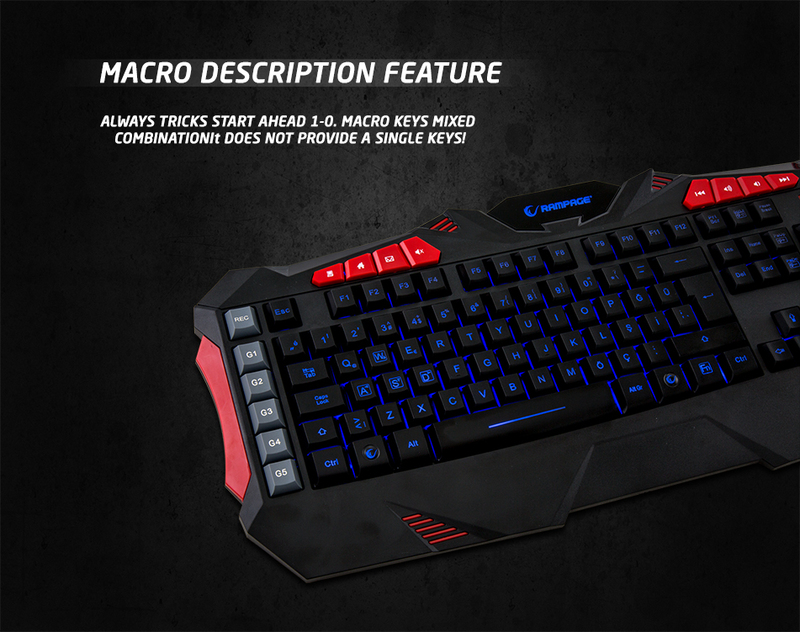 With one-touch macro keys can handle mixed combinations. 5 macro key definitions give you great benefits.